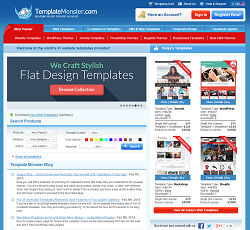 Template Monster is the largest, most comprehensive website template service on the Internet. Template Monster continues to add more high quality templates, keep up with technology and popular platforms and they provide great customer service. Currently Template Monster offers more than 20,000 templates in many popular formats, such as CSS with flash, HTML, dynamic sites for compatibility with a variety of screen types and even many in PSD format. In addition, they now offer turnkey websites, which are fully supported and hosted, the perfect solution for small businesses or organizations. The last kind of template to keep in mind is the Facebook template. This is a great option for branding your Facebook page. It’s ideal for those who want to build traffic to their online store by establishing a firm presence in major social networks like Facebook. These templates differ from the other ones. They cater to specific corporate needs. You can order corporate powerpoint presentations, logos and full identity packages with letterheads and business cards. These templates rely on technologies in WordPress, Joomal and Drupal to provide you with an easy-to-manage platform that can be used to add more content. It’s great for building content systems, i.e., websites that regularly put out content in the form of articles, press releases and/or blogposts. These types of templates are considerably more complicated. They upgrade from simple HTML pages and Flash designs by incorporating high-quality e-commerce technologies like Magento, VirtueMart, PrestaShop, Zen Cart and more. They in effect let you build full-fledged e-commerce platforms that you can then use to sell products to the general public. It should be noted that TemplateMonster also offers a few free templates. We do not recommend using these, because they are really simple and offer few customization options. They are not bad for getting a taste of how the templates work, but if you want to build a legitimate website, then we definitely recommend you invest in a paid template. Through Template Monster you can buy templates individually with a limited use license or you can purchase it as unique and Template Monster will stop selling that template to help ensure that your site appears fresh and distinctive. Template Monster does not offer a membership package; however, most of their sites are available for well under $100. Template Monster really is the best of the best, and they just keep getting better. They offer more templates than anyone else, keep on top of technology and provide great support and service. If you are a small company or organization without a webmaster, they offer great complete solutions or if you are a designer, they provide high quality templates that will definitely help you keep your clients coming back to you for more. Everyone wins with Template Monster. 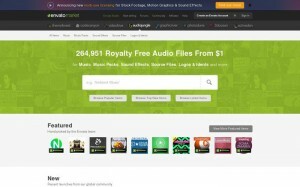 AudioJungle is the world’s fastest growing marketplace for world class royalty-free music, sound effects and audio content! AudioJungle has an audio library of around 200,000 items (at the time of writing this at least) including music loops, music packs, source files, and both full length vocal and instrumental tracks. 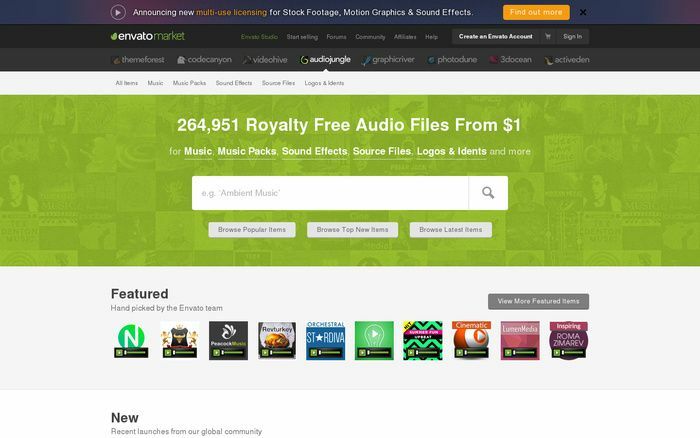 At AudioJungle you can buy and sell royalty-free music and sound effects that are completely Podsafe for just a few dollars, which includes a Buyer Fee. The site is home to a bustling community of audio composers and producers. It’s no secret why The New York Times boasts AudioJungle as a world contender in royalty-free audio. AudioJungle isn’t just a market place however, it’s a community where authors and buyers come together to form successful long lasting business relationships. So whether you’re a producer, an indie film maker or a large production company,they will no doubt have the audio that’s perfect for your upcoming projects! This week, we review VideoHive. 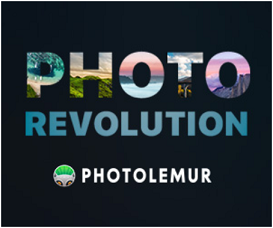 It’s like iStockPhoto but for videos, and can save you literally thousands of dollars in expensive video production. It’s super easy to use: VideoHive is basically licenses to videos that you can fully customize. So, you remember the old UPS whiteboard commercials that have become really popular? I’m going to show you an example of that, just so you can wrap your head around what you can do with it. So hopefully, you get the idea. You can customize all of that text, you can add your company logo. And the only thing you need to do that is the program Adobe AfterEffects. You edit it yourself. This video, for example, costs 30 bucks for the license. That’s something that would cost you thousands and thousands of dollars to go make on your own. Also they have fancier videos at their disposal. If you want videos with 4D cinema, after effects and motion effects, Video Hive has them. You can then use a video editing program to customize the videos to your specific message you are trying to get across. Animated logo by sound in Cinema 4D Project allows you to make your own 3D intro which will move by your sound. High quality professional videos gives you and your site credibility and authority. Sort videos by various criteria (date, title, author, price, rating, etc.) to help you nail down the videos you need. 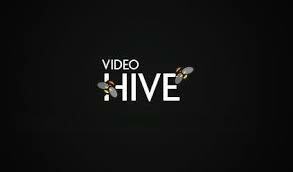 Earn money though Video Hive by selling your own stock if you wish. Save money and time by buying cheap quality videos instead of spending a fortune to have them created for you or doing them yourself. Videos aren’t geared towards typical internet marketing niches like weight loss and insurance, but with some creativity you can make them relevant. So, videohive.net, a lot of good stuff to play with on there. Go check it out, hopefully you can utilize it for your own company. CodeCanyon is a marketplace for WordPress plugins, jQuery plugins, Bootstrap plugins and more. 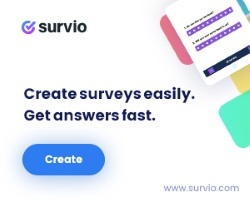 Created by Envato. Envato is based in Australia and was founded in 2006, although their huge network of workers come from all over the world. They are a world class open source (PHP code) and a creative company committed to creating high quality products and services for their worldwide clientele. The company’s CEO is Collis Ta’eed and the company was co-founded by Collis and Cyan Ta’eed. Some of their many websites include a host of Envato marketplaces where you can buy and sell digital goods: Tuts+, which is a wide network of online educational sites where you can learn online fields in graphics and development, audio and motion productions; FreelanceSwitch, an online freelancer community website; AppStorm, a site for the latest in computer technology; Creattica, a site showcasing online galleries, 3D works, advertising, business cards, web design and more; and Rockable Press, which is an online publishing brand for freelance writers. At the moment CodeCanyon contains more than 8,000 scripts, plugins and widgets which makes it market leader in delivering top notch products. How do I shop on CodeCanyon? If you have decided to purchase any plugin or script from CodeCanyon, there are certain things you should do. P.S. You can also purchase plugin using your PayPal account without adding balance, but take into consideration that additional $2 fee will be applied by Envato in such case. ThemeForest is not short of world-class WP theme developers. 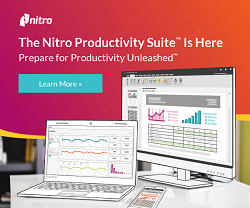 If you are looking for excellent theme functionality, then you’ve definitely come to the right place. Since they are pooling resources from hundreds of high end developers from across the world, ThemeForest has the most extensive network of tools that will surely provide you with every single detail you should need. The site is categorized into the following main categories: WordPress, Site Templates, Marketing, CMS, eCommerce, PSD Templates, and Plugins. Known best for their thousands of different WordPress Themes from hundreds and hundres of different authors, ThemeForest is the the largest WordPress Theme marketplace by far in existence today. ThemeForest offers one of the lowest prices among the various WP Themes today, with the exception of those who offer them free of course. 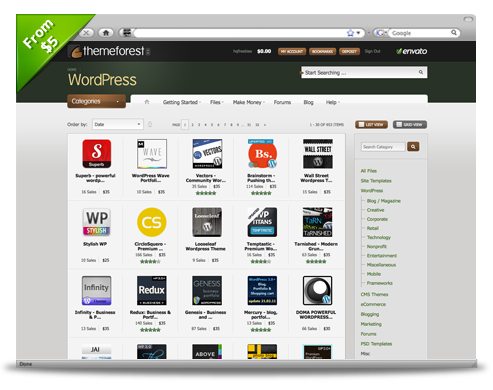 Their price for WordPress Themes ranges from as low as $30 to as high as $60 per Theme. 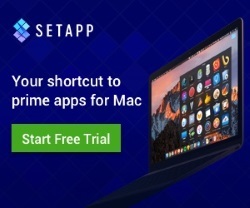 The company doesn’t really offer any special deals or combos while most of their competitors operate on a 3-in-1, 4-in-1 or a special discount to buy all themes. – Some designer’s quality and support is lacking compared to others. Overall, Themeforest is an excellent resource to find premium WordPress themes to fit virtually any need. It is important you do further research on each seller and make sure they are dedicated to updating their theme and have great feedback on their work. If you choose to buy from the right people, chances are you will be extremely happy with the Themeforest marketplace just like I have been through all my previous sales. I do recommend buying themes from Themeforest as long as you take precaution and are smart with purchase decisions. MaxCDN is one of the largest Content Delivery Network provider. 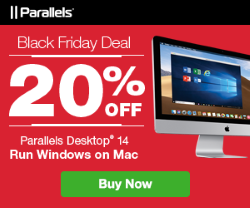 They accelerate your site and decrease the server load. MaxCDN has grown to become one of the top CDN providers for WordPress users. The company has created an affordable and easy to use Content Delivery Network which serves as a perfect solution for WordPress Users. Should you use MaxCDN for your wordpress site? We would highly recommend you do so. The main reason behind our decision was site performance and SEO. After the Google Panda update, everyone knows that site load time plays a crucial role in your search engine ranking positions (SERPs). A content delivery network or content distribution network (CDN) is a large distributed system of servers deployed in multiple data centers across the Internet to serve content to end-users with high availability and high performance. MaxCDN’s start plan costs only $9/month and their plus plan costs only $39.95/month without discounts. The start plan offers 100GB bandwidth per month. It’s more than sufficient for medium-sized sites. MaxCDN is very easy to set up and use. Setting up MaxCDN on WordPress sites using W3 Total Cache requires 5 minutes of time at most. MaxCDN has data centers around the world. 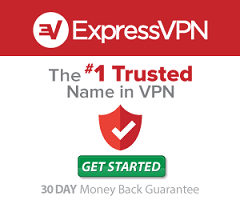 They have numerous servers (edge locations and peer locations) all over North America and Europe. New edge locations are planned in various parts of Asia. As well as site loading speed increasing, MaxCDN will have a big impact on user experience on your site. Due to pages loading much quicker, this will help reduce bounce rate and keep people on your site for longer. This in turn will lead to more pageviews as people will be more willing to check out your other content that you have on your site. One of the reasons we decided to make changes to our site was because we had had some server issues. On a couple of occasions our server was under pressure at our busy periods, leading to our site crashing a couple of times. MaxCDN offers better crash resistance by distributing the load from your server across their own set of servers. So, your site shouldn’t have as many (if any) problems like this again. Like we have said, search engines are putting more emphasis on site speed, so the faster your site loads; it will have a positive impact on your SEO. Site speed can help you rank higher in the search engines, which can help drive more traffic to your site. MaxCDN offers a very reasonable pricing despite its brand value. An annual subscription will get two months free. Plans start at 9 USD per month, with a limit of 2 zones. The same plan would cost you 90 USD annually (instead of the usual 108 USD). Well, anyone really! If you have a website with a global audience, it can help your site out significantly. This is even more relevant if you have a very large website with lots of content. 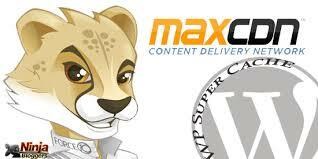 One of the great things about MaxCDN is that it is easy to integrate with WordPress. You can just set up an account and install MaxCDN on WordPress pretty easily.